its a good place, is cheap, very clean, the staff is nice and helpful. The customer service was outstanding, they gave us so much information on what to see and do. Above and beyond. The staff are very friendly and helpful,nice clean rooms and a very comfortable bed,would stay here again. It was just as I hoped it would be. Matched the description on line of being clean, comfortable, convenient to hospital, and being totally reasonably priced! This was an emergency trip and we booked it last minute. I was skeptical because we got a great deal. The property was really clean, they were working on the roof at the time of check in. The attendant was very nice. The room and bathroom were clean. The walkways were brightly lit at night but the light did not bother us once in the room. Quiet except for roofers but still 4 🌟 🌟 🌟 🌟 motel. Great staff in office. Very nice people, and helpful too.i would recommend this to anyone who is my friend and I will be back sometime soon as I was content with my stay here. The only thing I can say that I really like about this hotel was that the internet was exceptionally fast and they were able to store our luggage for us for free. 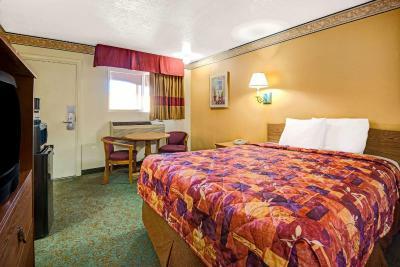 Knights Inn Albuquerque Downtown This rating is a reflection of how the property compares to the industry standard when it comes to price, facilities and services available. It's based on a self-evaluation by the property. Use this rating to help choose your stay! One of our best sellers in Albuquerque! This New Mexico motel in downtown Albuquerque is just 3 miles from Albuquerque International Sunport. 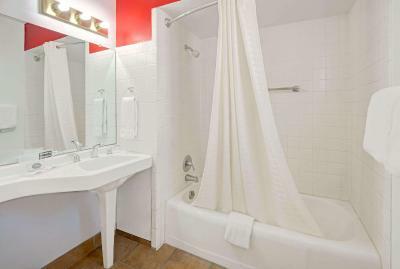 It features guest rooms with free Wi-Fi and cable TV. 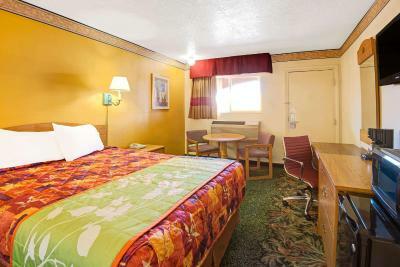 Rooms at Knights Inn Albuquerque Downtown include microwaves, refrigerators and coffee makers. They also have hairdryers and ironing facilities. 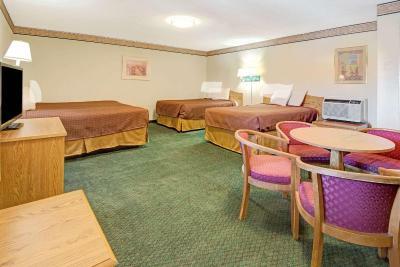 Guests can enjoy a continental breakfast at Knights Inn Albuquerque. For added convenience, the motel provides vending machines and a 24-hour front desk. Albuquerque Downtown Knights Inn is a mile from the University of New Mexico and Albuquerque Alvarado Transportation Center. It is 2 miles from Rio Grande Zoo. 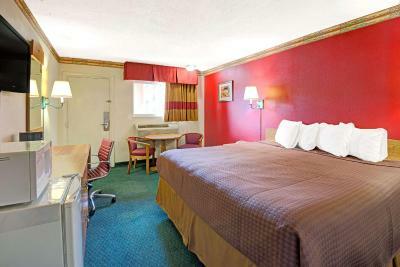 When would you like to stay at Knights Inn Albuquerque Downtown? Cable TV, a microwave, and a small fridge are provided in this room. 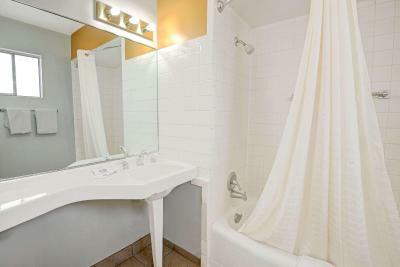 This double room features a microwave, private entrance and air conditioning. This suite has a cable TV, microwave and private entrance. House Rules Knights Inn Albuquerque Downtown takes special requests – add in the next step! Debit card Cash Knights Inn Albuquerque Downtown accepts these cards and reserves the right to temporarily hold an amount prior to arrival. Knights Inn Albuquerque Downtown accepts these cards and reserves the right to temporarily hold an amount prior to arrival. Please note that dogs are the only pets allowed at the property. One of the most picturesque neighborhoods in Albuquerque! Pretty sure The was a prostitute standing outside when we checked in. Bathroom was dirty. Was not comfortable showering. The room was large. There were 3 beds which was great for a family of 6. Three day stay. Did not get daily amenities (coffee, soap, shampoo). Had to go office to get. Great spot for route66 travellers. Staff are very helpful. Friendly staff, beautiful bathrooms, great value for money. Check in was slow. The elderly gentleman at check in was not that friendly. We felt that we were an in convenience. Breakfast was limited but still ok. Beds were hard. Desk people unfriendly. Chairs in room badly stained hence the low score on cleanliness. Neighbourhood a bit noisy as on Main Street. Very friendly staff. Chairs in room badly stained hence the low score on cleanliness. Didn't like that it didn't have enough towels and was small. Was close to the NM Heart Institute. Was close to eating places. The staff was very helpful and friendly.